Is Concho Resources Inc. (CXO) A Good Stock To Buy Right Now? The Insider Monkey team has completed processing the quarterly 13F filings for the September quarter submitted by the hedge funds and other money managers included in our extensive database. Most hedge funds have been producing disappointing net returns in recent years, however that was partly due to the poor performance of small-cap stocks in general. Well, small-cap stocks finally turned the corner and have been beating the large-cap stocks by more than 10 percentage points over the last 5 months.This means the relevancy of hedge funds’ public filings became inarguable, as they may reveal numerous high-potential stocks. The following article will discuss the smart money sentiment towards Concho Resources Inc. (NYSE:CXO). Is Concho Resources Inc. (NYSE:CXO) ready to rally soon? Unfortunately investors who are in the know are selling. The number of bullish hedge fund positions were cut by 4 lately. CXO was in 34 hedge funds’ portfolios at the end of the third quarter of 2016. 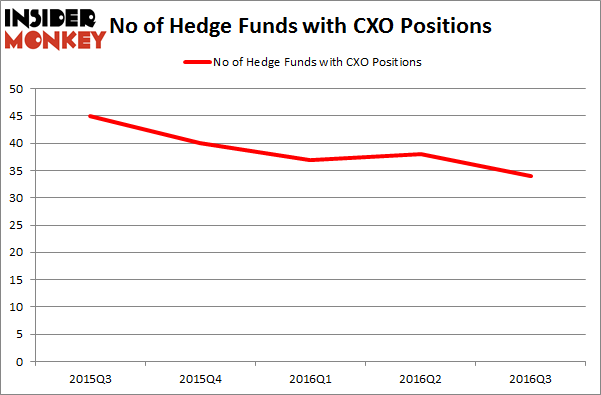 There were 38 hedge funds in our database with CXO holdings at the end of the previous quarter. This may not be a negative signal if CXO is still more popular than similarly valued companies. At the end of this article we will also compare CXO to other stocks including Shinhan Financial Group Co., Ltd. (ADR) (NYSE:SHG), POSCO (ADR) (NYSE:PKX), and Noble Energy, Inc. (NYSE:NBL) to get a better sense of its popularity. Now, we’re going to take a look at the recent action regarding Concho Resources Inc. (NYSE:CXO). At the end of the third quarter, a total of 34 of the hedge funds tracked by Insider Monkey were long this stock, a drop of 11% from the previous quarter. This is also the lowest level of popularity over the last 5 quarters as the graph below displays. With the smart money’s positions undergoing their usual ebb and flow, there exists an “upper tier” of key hedge fund managers who were upping their stakes meaningfully (or already accumulated large positions). 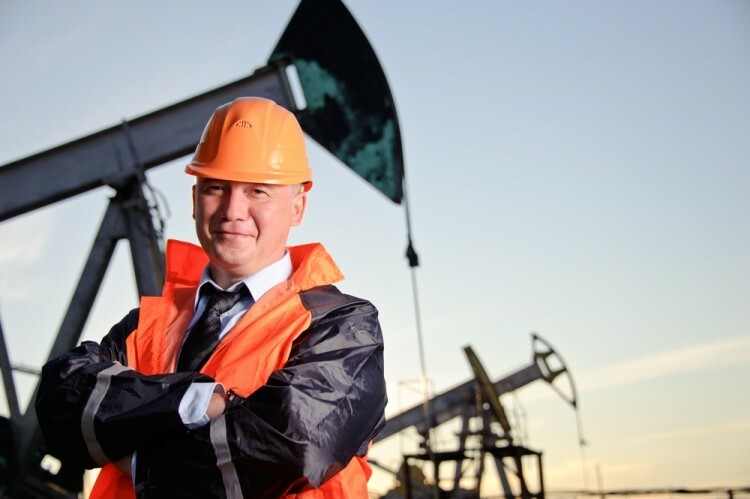 Of the funds tracked by Insider Monkey, Point State Capital, managed by Zach Schreiber, holds the largest position in Concho Resources Inc. (NYSE:CXO). The fund reportedly has a $124.6 million position in the stock, comprising 1.3% of its 13F portfolio. Coming in second is Passport Capital, led by John Burbank, holding a $113.9 million position; the fund has 2.4% of its 13F portfolio invested in the stock. Other members of the smart money that are bullish contain Stuart J. Zimmer’s Zimmer Partners, John Overdeck and David Siegel’s Two Sigma Advisors and Clint Carlson’s Carlson Capital.